Get an early start. The early birds get the worms and the early pickers get the best berries! Dress appropriately. Wear long pants, a hat and closed-toe shoes. Avoid excessive hand jewelry and sleeveless tops. Choose clothing for children that are free of strings and likely to become loose. Wear sunscreen and bug repellant. The higher the SPF value in your sunscreen, the more protection you will receive. Know what to pick. Full and ripe blueberries are dark blue in color, and fall easily in your hands when you massage a bunch. 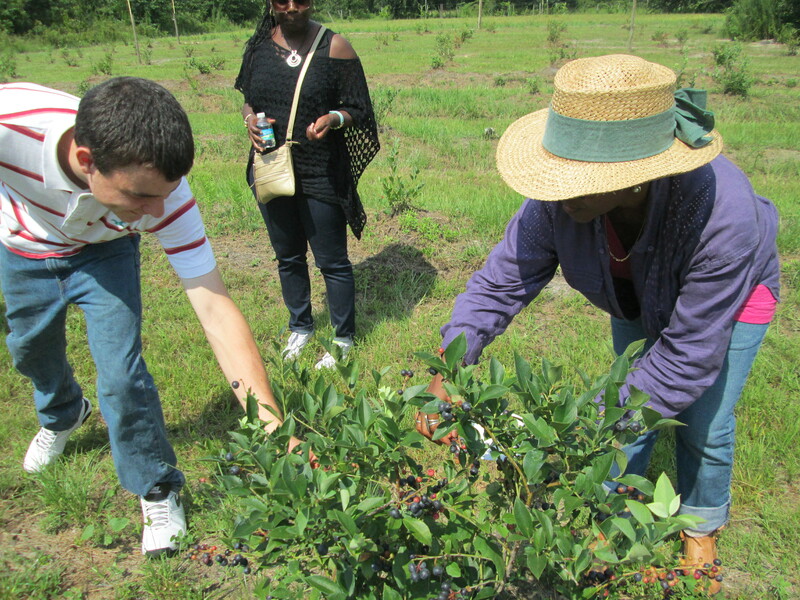 Avoid over picking and discarding unwanted berries in the field. Stay hydrated. Some farmers offer complimentary water to visitors. However, it is always a good idea to pack your own bottle. Avoid distractions. Limit cell phone conversations and texting while picking berries. Supervise children at all times. Children should never be allowed to wander alone on the farm. No pets please. As a food safety precaution, farmers ask that you leave your pets at home. Bring cash. Most farmers are not equipped to process credit and debit cards. So always remember to have extra cash to pay for your berries. Respect the rules. Pay attention to all signs and instructions. Park in designated spaces, place garbage in appropriate receptacles and never enter restricted areas.